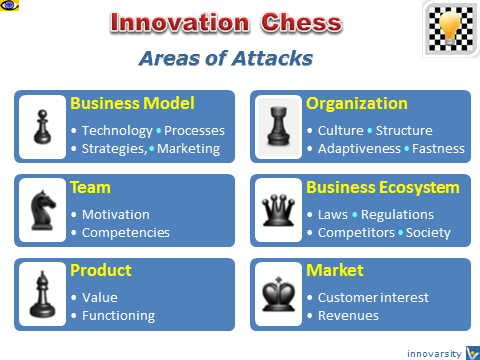 Innovation Chess (InnoChess) is a simulation game for → entrepreneurs, innovation project leaders and innovation teams. prepare for real life battles. Like in traditional chess, InnoChess strategy consists of setting and achieving long-term positioning advantages during the game, while tactics concentrate on immediate maneuver. These two parts of the InnoChess simulation process are synergistically integrated: strategic goals are mostly achieved through tactics, while the tactical opportunities are based on the previous strategy of play. Simple actions can be combined into more complicated combinations and sequences of tactical maneuvers. 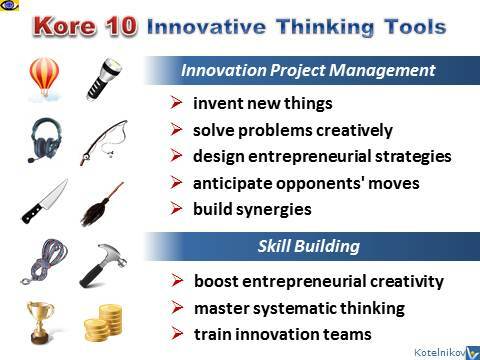 Powered by Kore 10 Innovative Thinking Tools, an Innovation Chess game leads to more internal and external insights, more diverse ideas, more synergistic business models, stronger innovation strategies and better assessment of the innovation team. Kore 10 Innovative Thinking Tools both boost → entrepreneurial creativity and help anticipate opponents' moves. In chess, every move must satisfy predefined conditions. InnoBall can simulate real time situations better as players have less restrictions. InnoChess players have less flexibility, but can better focus on the most important action areas. 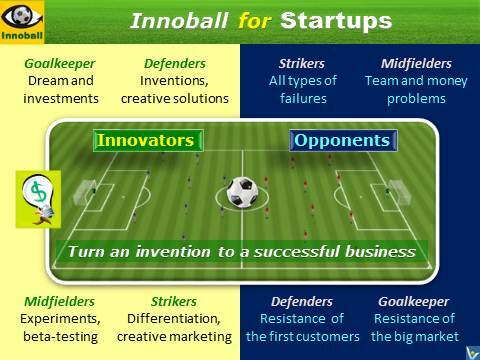 Both InnoBall and InnoChess are the key types of contests of the Innompic Internet Games among Innovators.